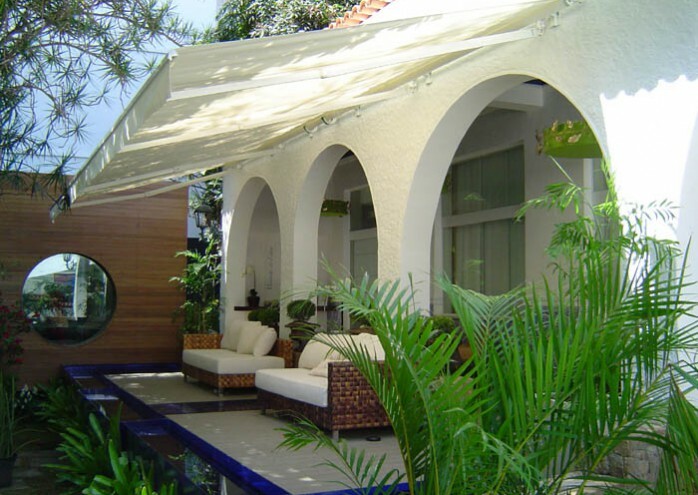 An alternative to the Select line, the Azur awning with the square back bar works well for balconies, smaller decks and patios, and certain store fronts. 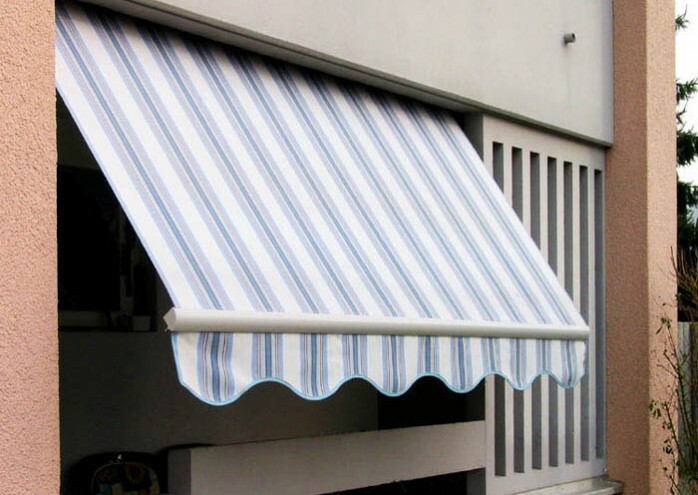 This awning has a limited width and a maximum of two folding arms. 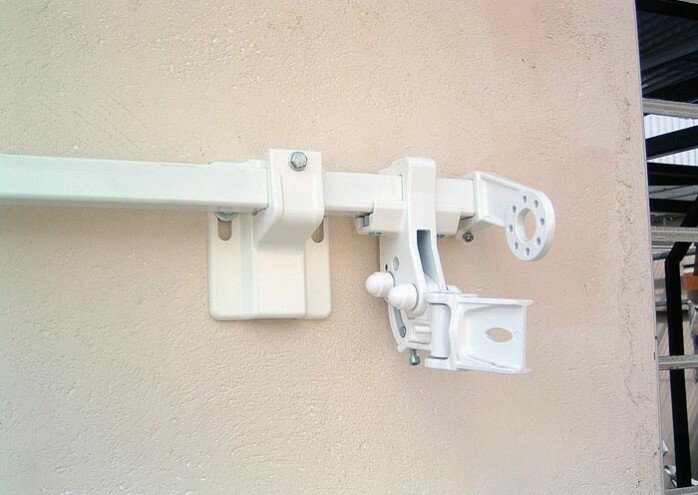 Because of the unique mounting brackets, the Azur can be attached to the wall, to the soffit, and even to the roof rafters. The pitch can easily be adjusted from a horizontal position to a steep angle, thereby allowing greater flexibility for just about any need. 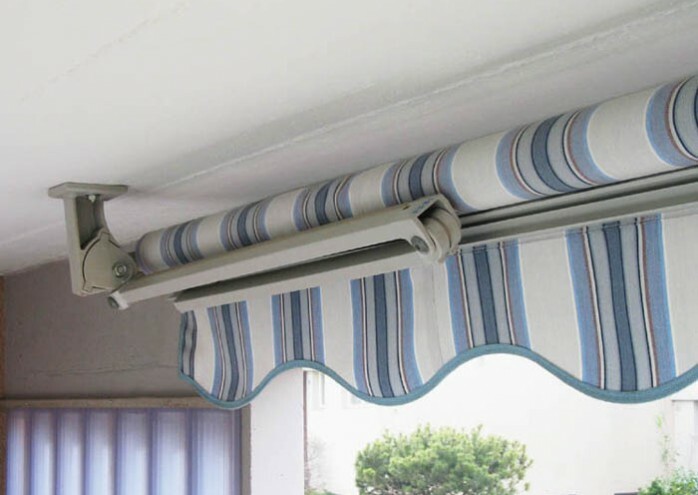 The Azur can be operated either with a gear and hand crank or with an optional electric motor, and thus is a great economically priced unit, with a 10-year warranty.